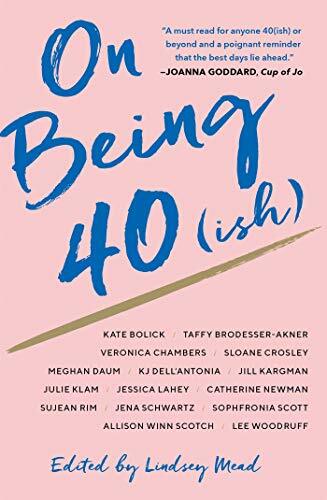 Now comes a volume, On Being 40 (ish), that seeks to capture the magic of the fortysomething years. Does it succeed? Yes, at several levels. Forty—a halfway mark that provides a unique vantage point for summing up and taking stock. What have I done and what do I have left to do? Spurred by the capacity for inspiration and reflection, she corralled a select group of today’s generation of women writers, including a poet and an illustrator, to share with us their reflections and takeaways. They vary in age from 38 to 50-plus and range widely across the landscape, grazing on choice morsels and nuggets of thought. Some pieces get more serious. After her sister Theo died in 2011 at 43, Sophorinia Scott went back to school to get an MFA in creative writing and became “fierce” about her time and “what gets my attention.” She had started to focus on living a life of joy when a gunman opened fire “just down the hall” from her son’s third-grade classroom at the Sandy Hook Elementary School in Connecticut. Her son lost one of his best friends. In her essay, “I Don’t Have Time for This,” Sophorinia writes, “My heart, shrunken with horror and grief, felt small and dry as though it would never feel joy again. The worst had happened, and the world shockingly, unbelievably rolled on.” At 51, Sophorinia has grown to accept the fact that the worst will keep happening. Her response is to stay focused on the present and the positive and to hold on to the moments of “grace and joy” that come from her church activities, her participation in artistic efforts, her writing, her students discussing their first essays. She blocks out the daily cycle of TV news and the barrage of daily commentary on national politics. Her guiding philosophy? I don’t have time for this. In “There’s a Metaphor Here,” Allison Winn Scotch reflects on the accident that forever changed her life one “perfect spring morning” while on a long weekend skiing holiday in Colorado. Three minutes into the run, she loses her left ski and is left “splattered on the snow screaming, my leg distorted at a right angle to my body, consumed by a level of pain I’d never experienced.” The diagnosis would be severe. Pieces of her leg bone had been shattered into “a million pieces,” according to the doctor, and surgery would require two bone grafts. Allison’s routine would be completely upended: she couldn’t drive; she couldn’t navigate the steps back at her house in California; optimistically, she couldn’t walk for three months. And she would never get to spend her thirteenth wedding anniversary on the beaches in Mexico with her husband. Veronica Chambers’s piece, “It’s a Game of Two Halves” is inspiring. Like a soccer match, Veronica sees the “act and art” of being in her forties as “a game of two halves.” As she sees it, “no matter what happens, you can’t win in the first half. Victory is only decided in the very last seconds of the second half.” So when she turns 40, after an intense career as an editor, she slows down, gives herself time to think about what matters. Now 45, she has six things remaining on her “design of a decade” list, six out of ten. She does not feel “super rushed” about them. If she doesn’t hit them by 50, she figures they will become “the foundation of the design of my next decade." Her approach is sound. We do need to pace ourselves for the journey. It’s a long game. Maybe this is a game of four quarters. And maybe victory isn’t decided until the very last seconds of the fourth quarter. Heather Tamir is a staff writer at New York Journal of Books.